The Joy Killer isn’t too happy about our new priorities and heat mapping strategy. She’s initiated Operation Uncertainty! The best way to defeat uncertainty is to be certain we’re going to reach our goals. How? By making sure our goals are SMART. Writing my goals down each day has been a really good reminder of what I hope to accomplish. I’m a notorious slacker though, and I’m easily distracted. And did I mention that procrastination is kind of an art form for me? Having just one new goal each day makes it all seem a little less overwhelming. The most important aspect of my goal setting has been to see each one as a building block. Each one ends with the question “how?” which leads to the next goal. But… there’s a little problem with my goals. 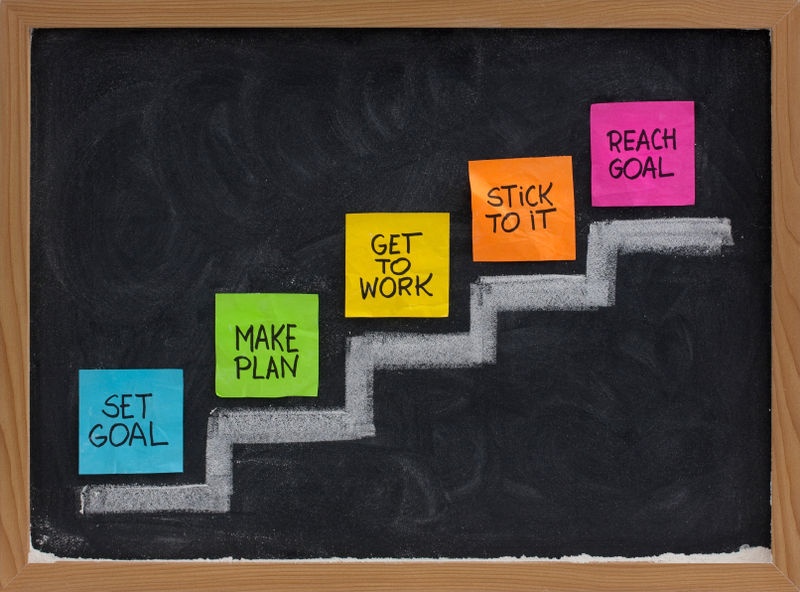 Did you know there’s a SMART way to set goals? It’s true. Having SMART goals is critical to reaching them successfully! My induction into the National Society of Leadership and Success taught me how to set goals the SMART way. Specific: Avoid generalities! Your goal should have specific details so you know what you’re achieving. Measurable: Make sure you have solid criteria for establishing your progress toward your goal. Achievable: It doesn’t have to be simple or easy, but it should be within the realm of reality. Relevant: Your goal must be something that is rewarding, meaningful, and worthwhile. Time-Bound: Having specific dates for beginning and finishing goals keeps you on track. Stop letting my current reality determine the size of my dreams. Start organizing my life around my writing, instead of my writing around my life. See the problem? I do. They aren’t specific. They are good general goals, but they aren’t SMART goals. Goals that aren’t SMART have potential, but that’s about it. If I hope to accomplish anything, I’ll need SMART goals. After I make each of my goals specific, measurable, attainable, relevant, and time-bound, I can move on to the next step. SMART Goals = A smart action plan! 1. Specific. What will the goal accomplish? How and why will it be accomplished? 2. Measurable. How will you measure whether or not the goal has been reached? 3. Achievable. Is it possible? Have others done it successfully? Do you have the necessary knowledge, skills, abilities, and resources to accomplish the goal? Will meeting the goal challenge you without defeating you? 4. Relevant. What is the reason, purpose, or benefit of accomplishing the goal? What is the result of the goal? 5. Time-bound. What is the established completion date and does that completion date create a practical sense of urgency? HOW ARE YOU Making Your Goals SMART? The Joy Killer is livid! She never expected us to defeat Uncertainty! My source tells me she’s ready to unleash a horrible weapon. The Big R is coming and we’re in for a fight! Life’s a collision course and I’m a crash test dummy. make for a wild ride. Buckle up & Brace For Impact. © D.M. 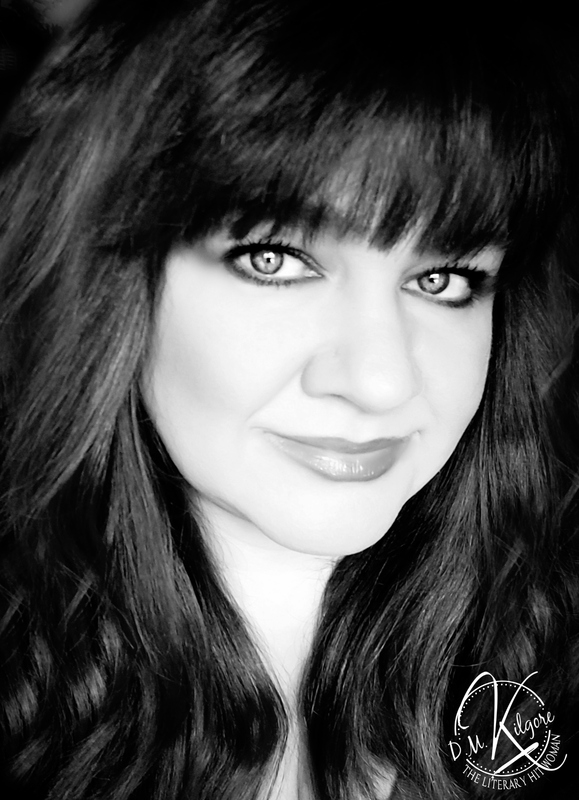 Kilgore, and Phoenix Realm Publications LLC, 2012-2015. Unauthorized use and/or duplication of this material without express and written permission from this blog’s author and/or owner is strictly prohibited. Excerpts and links may be used, provided that full and clear credit is given to D.M. Kilgore with appropriate and specific direction to the original content. We reserve the right to request any duplication of its material be taken down immediately. Previous Mission 1: How Do You Find Time? You can’t. Next TNT CHOSE MY STORY! I love your blog. I am a beginner, so I feel kind of small in the world of blogging. I love your content and your graphics. I am a notorious slacker and I am going to be following you. Your layout is phenomenal and everything is relevant and SMART. Great job!!! Thank you so much! You might not know it from my blog, but I struggle with wondering if I should blog or throw in the towel… a lot. 😉 Thank you for the encouragement. I look forward to your thoughts and comments! 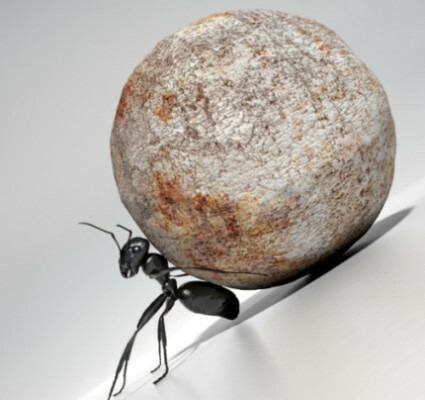 I love the ant and rock, impossible and yet achievable. I thought the smart goals looked familiar, nice to meet another member of NSLS. Each of us have those days where we want to procrastinate but then there are times when we have to get stuff done. Your blog really outlines that for us, it will be helpful to many, good job. Always a pleasure to meet another NSLS-er. 😉 Yes! 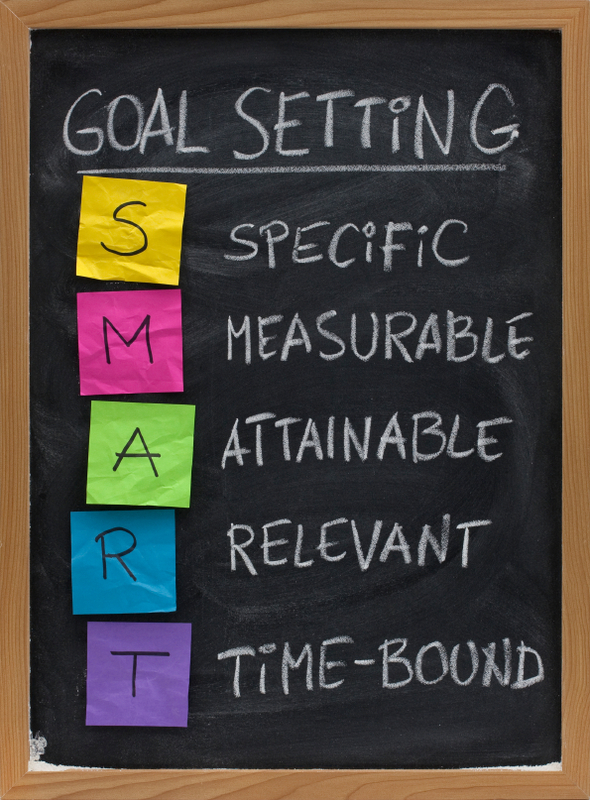 I love NSLS and have learned so much there… like SMART GOALS. I never thought of myself as a leader, but they’ve helped me really harness my ability to succeed in things I never thought I’d even try! Loved this! What great ideas you have explained regarding setting goals. I tend to put my most precious goals aside and just barely keep up with the day to day things. 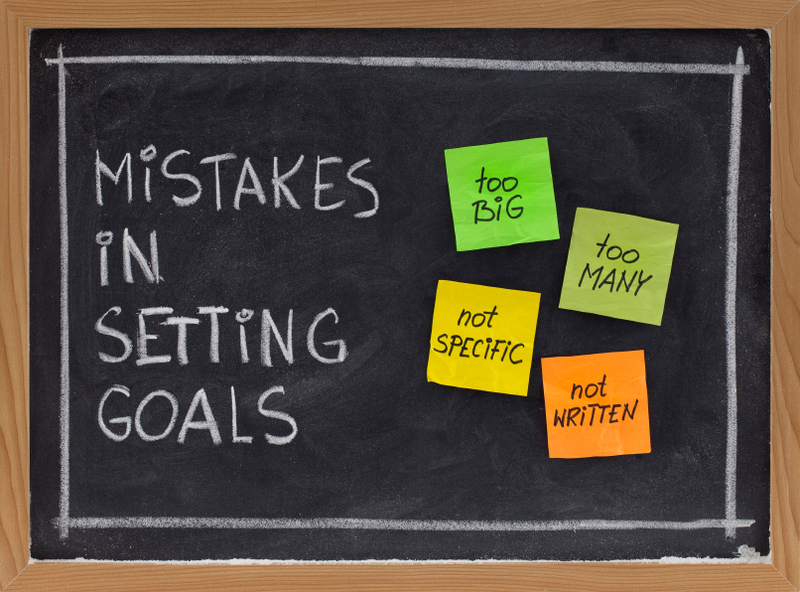 I like the idea of creating smart goals to put them into perspective and making them more manageable. Thanks! I love this post!! I never knew the value of goal setting until I started writing out my goals and once I started seeing results, it became a habit! I like to look at in terms of “vision. goal. crush. 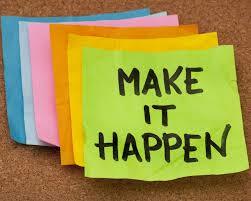 repeat” A few of my current goals are categorized into 10, 5, and 1 year goals. 1 Year/Career: I continue to elevate myself within the company I work for and practice on leading self. 5 Year/Health: I run or attend a boot camp at least x3 a week before my workday begins. 10 Year/Personal: I am happily working a balanced lifestyle between my career and home life. I absolutely LOVE “vision. goal. crush. repeat.” Love it!!! You’ve got some great goals there and it’s obvious you have the determination to see them through! Great post D.M! I too am a slacker that tries to set goals but they seem either too daunting or i don’t know where to begin. I have not been setting SMART goals for myself and I think its a vital part of growing and advancing in your life. You provided a lot of great tips and i enjoy seeing how you transformed some of your goals into SMART goals in order to provide a guide for me to try this myself. I really think the statement and question at the end ” NOW IT’S YOUR TURN! HOW ARE YOU Making Your Goals SMART?” is a great way to motivate me and your readers to try it these techniques. I am ready to get started! As a member of the Society of Leadership and Success, I’ve learned so much about setting goals in order to succeed. I’m glad that what I’ve learned is helping others too. I always love to hear I’ve motivated someone to dream a little bigger or try a little harder. I’m rooting for you!!! Contests Are Fun! Not Really. 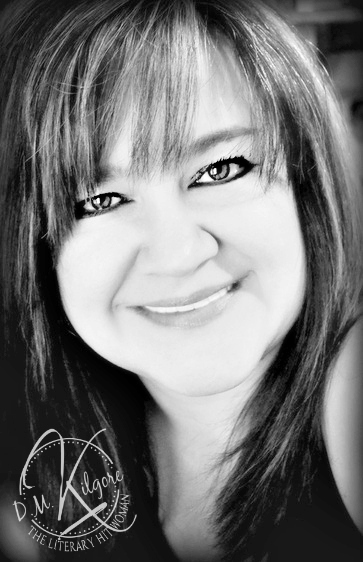 The Ice Queen Chosen As A TNT TOP 35 FINALIST! The Realm In Your Inbox!